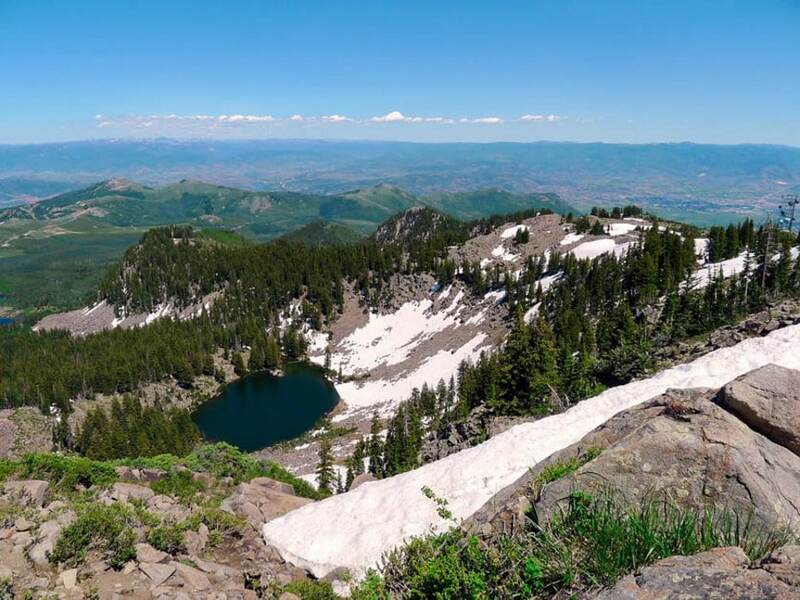 Utah is home to some surprisingly diverse landscapes: dense forests, stunning lakes, mystical deserts, and of course epic summits. We’ve pulled together 10 hikes that won’t disappoint. Whether you’re a pro looking for a challenge, or a beginner wanting to bask in the Hoodoo’s glory, there is a hike for every single one of you. 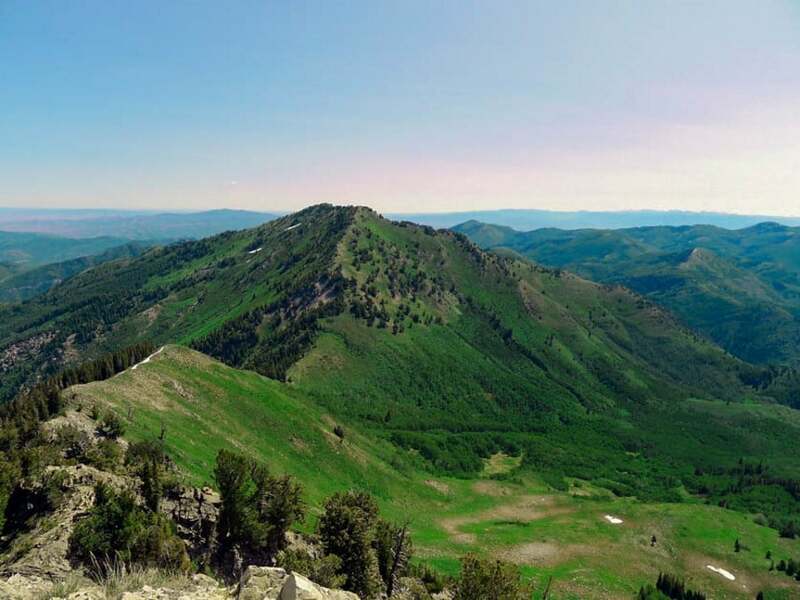 Clayton Peak is about 50 minutes away from Salt Lake City. The peak provides an epic 360-degree view of the surrounding canyons all year round. You can spot wildflowers in the summer and skiers riding the Great Western ski lift in the winter. For some summit snacks, grab a gourmet bagel on your way out of the city from Einstein Bros Bagels. You’ll want a reason to sit down and take in this peak’s views as long as possible! 3 hours of desert fairy-tale beauty. Fairyland Loop has expansive views with a variety of rock formations and colours. The trail is really well maintained – with truly spectacular scenery – making it perfect for the whole family. The best time to hit up this trail is during the spring, early summer and fall. Carry plenty of water and energy bars during this trek! 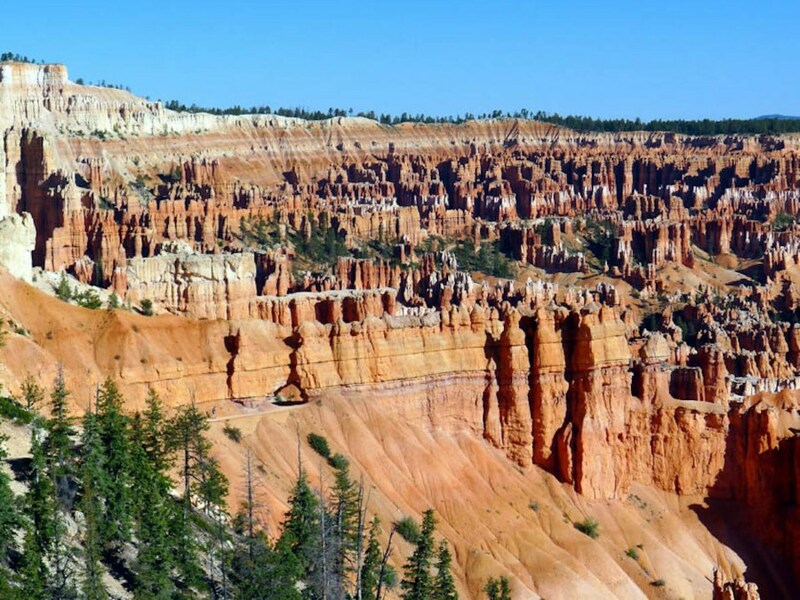 Check out Ranger-guided activities at Bryce Canyon for a history, geology, or hiking tour! Most famous hike in the national park. This trek, while difficult and intimidating, is still one of the park’s most popular trails. There are constant breathtaking views along the way. It’s understandable why so many people take on the challenge. 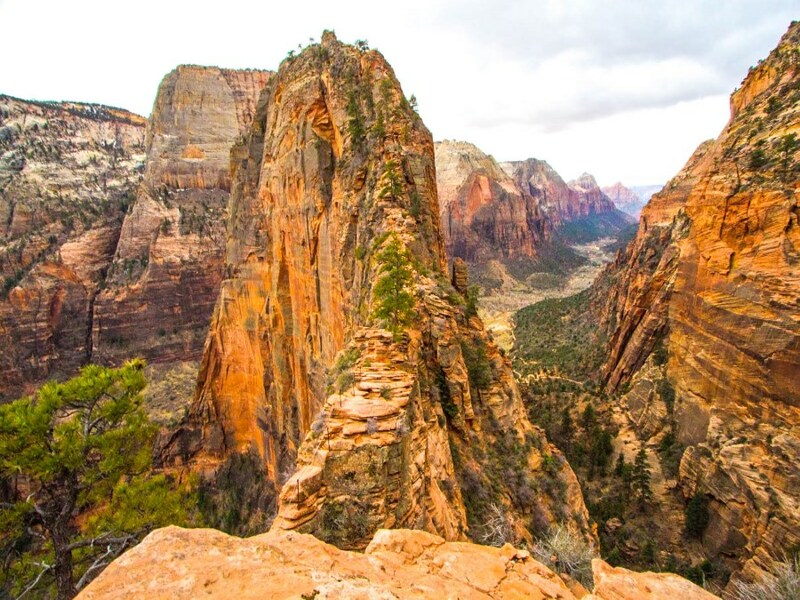 Once you reach the famous chains, that will assist you in crossing the narrow ridge, you will soon be rewarded with the bucket-list-worthy view at Angel’s Landing. If you are looking to experience more than hiking in Zion check out the climbing, canyoneering, ice climbing, or mountain biking tours provided by Zion Mountaineering School. Take in the sunset, peacefully. This beautiful spot is a short distance from Salt Lake City and is rarely busy. Mt. Raymond is a great trail for fit hikers looking to get elevated for some epic views. Start later in the day to catch the sunset, don’t forget your headlamp! Try this trail all year round. Feel better with a guide? 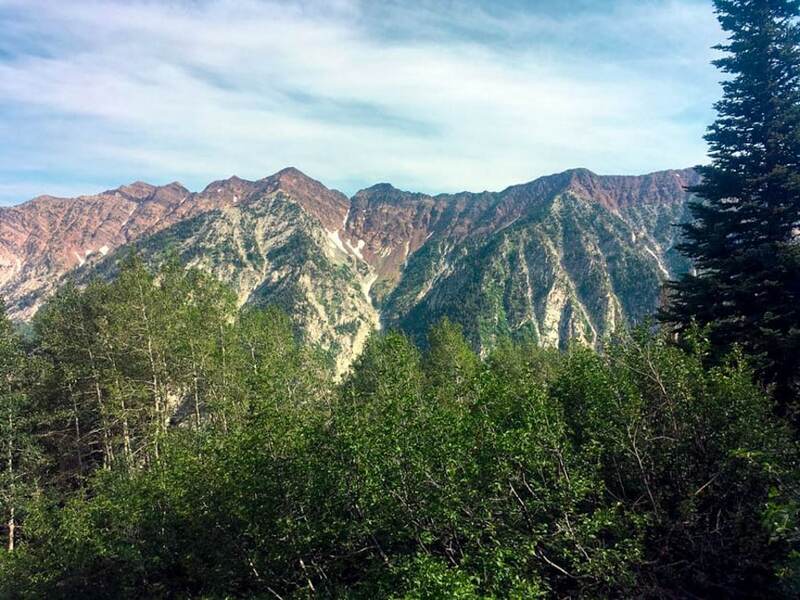 Check out Salt Lake City Big Cottonwood Canyon Guided Tour! What adventure will you find? 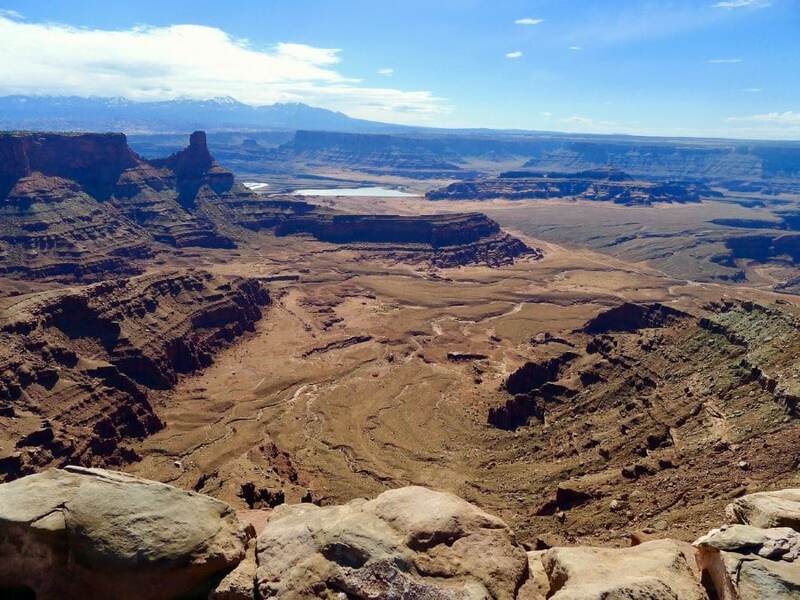 Dead Horse Point is a beautiful desert trail with a rich history. Better yet, you can bring your pup while hiking along the historic rim trails. Enjoy phenomenal views of the Colorado River and red canyons either on foot or mountain bike! This trail is fairly easy to hike and mountain bike, meaning it’s great for beginners looking for epic views. Download the Free App provided by MTB Project to enjoy your online mountain biking guide for the best on-trail navigation throughout Moab! Wish this was a hidden gem. You’ll have to drive over an hour from Salt Lake City to reach this incredible spot. Try to leave as early as possible to beat the crowds and enjoy the summit peacefully. Sunset Peak is a constant incline with great views from start to finish. Keep your eyes out for wildlife and the blooming wildflowers in the spring and summer. Make sure to stop at Baked & Brewed after your hike for some well deserved cappuccinos and locally made ice cream. 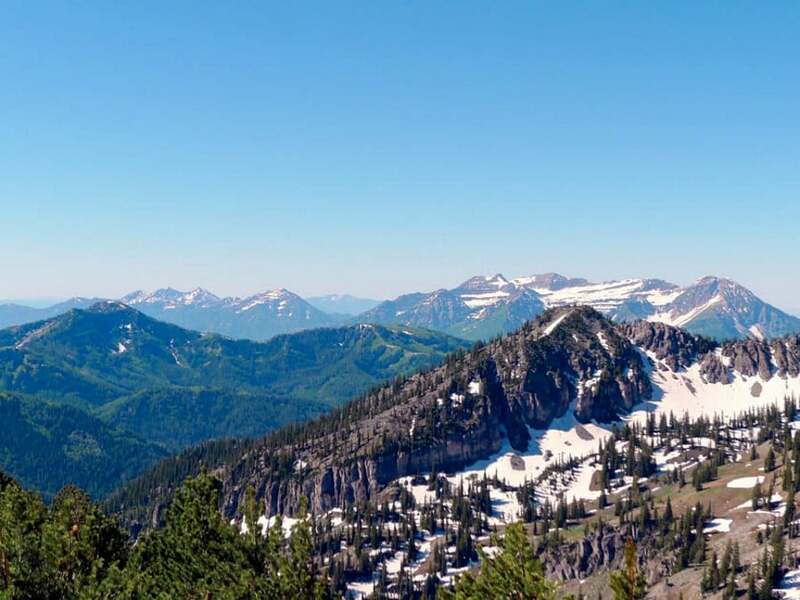 Portal Overlook is an incredible hike with stunning views and a changing terrain. There is way less traffic here than most of the popular trails in the area. Although it involves more climbing than is typical for the region, it is well graded and definitely worth the effort. In the late summer, it’s better to take on this hike in the afternoon so you are well covered by shade. For confident, experienced hikers looking for a challenge. Drive about an hour to Pfeifferhorn Ridge from SLC from July to September. Make sure you are comfortable with steep trails, rock hopping, and using your hands before starting this hike. When you summit you will find the most breathtaking views of the valley and if you’re lucky you can spot mountain goats summiting the surrounding peaks. If you’re 21-years-old and over, reward yourself afterwards with the “Epic Pfeifferhorn Lager” back in Salt Lake City. You deserve it! Start early, it gets hot. Observation Point is a strenuous 3-4h hike, but it’s worth it if you’re after the most scenic view in the entire park. 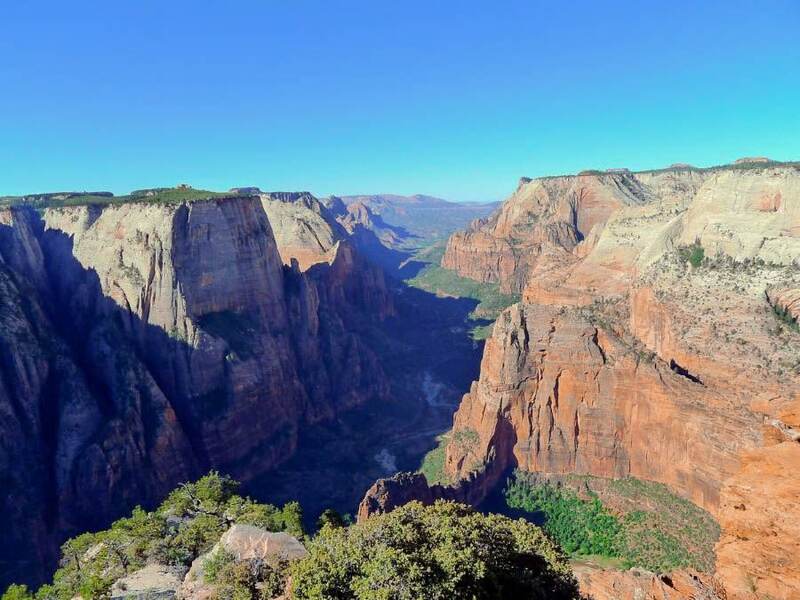 Looking to avoid the crowds in Zion National Park? This trail is a must. Please come prepared and bring LOTS of water. Make sure to pop by Springdale Candy Company after the hike for some Utah Turtles and other delicious candies! 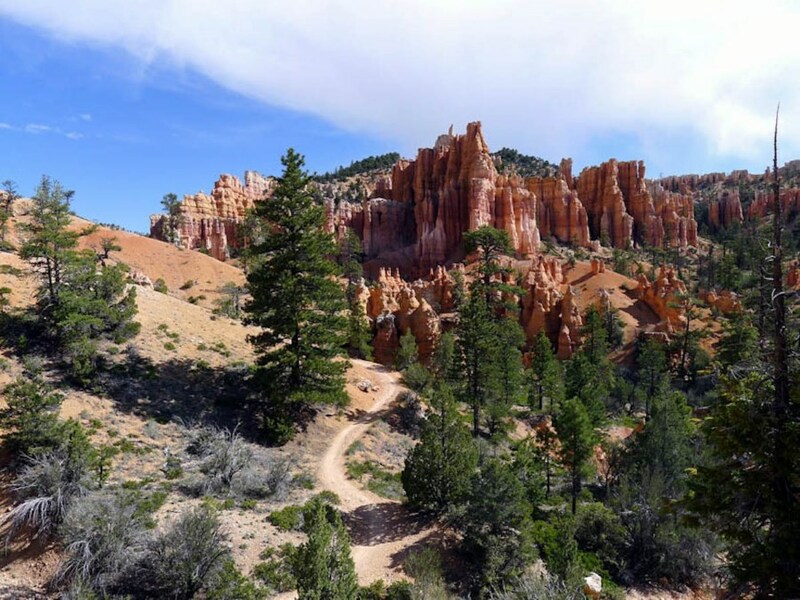 Peek-A-Boo is a short loop trail that descends under the rim of Bryce Canyon and promises the densest number of hoodoo formations in the park. Be prepared to make way for Cowboys leading horse riding groups through the trail. Start early to avoid the heat and the crowds! 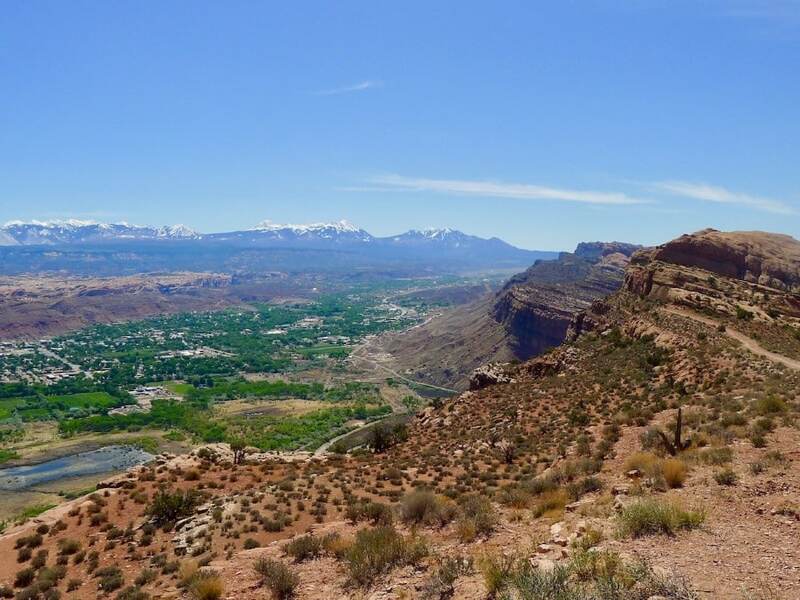 If you are planning you’re trip to Utah make sure to check off some of these amazing trails and discover more of Utah! And if you’re already familiar with these hikes, let other people know!  Share your experiences on Facebook, Twitter, or Instagram, we’d love to connect with you.